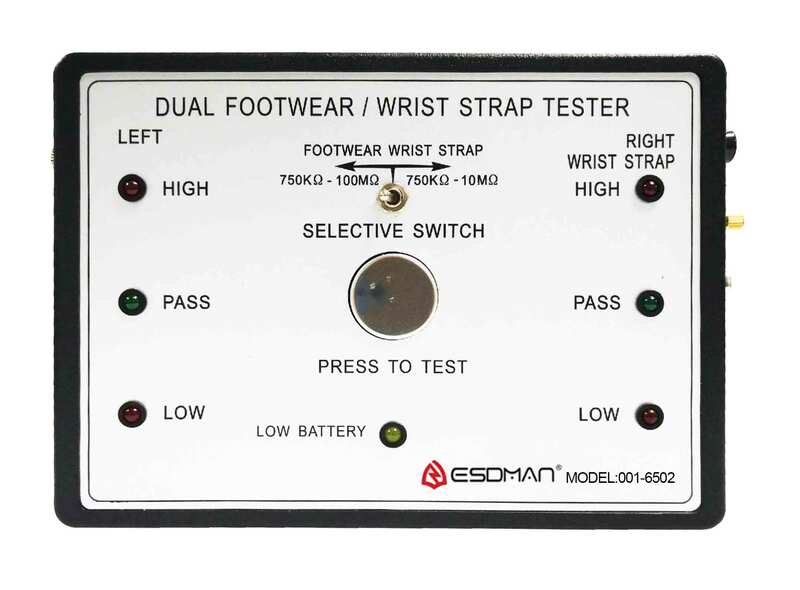 This tester bases on ISO/CD 8782-1 standard,which test ground resistance from foot and with LED display & audible alarm.It is an absolutely necessary tester in static control area.It uses 9v battery and has low voltage,user can adjust height easily. 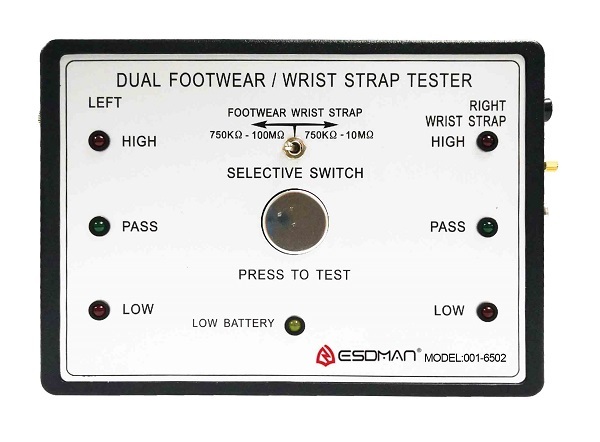 Dial “Selective Switch” to the left “Foot Wear”, and stand on the testing board after wearing ESD Shoe, then press “PRESS TO TEST” key. In this way, The left light will display ground resistance range and the right light displays right foot's ground resistance. 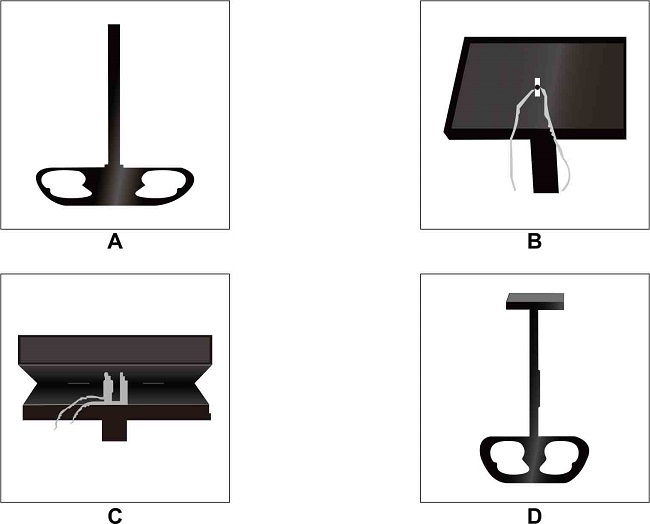 Dial “Selective Switch” to “wrist strap”, and connect connector plug (or fish clip) with the jack (pole) after wearing wrist strap, then press “PRESS TO TEST” key. In this way, the right light will display the ground resistance of wrist strap. Note: Testing precision within +15%, calibrated by decade resistance box. 3.Fasten tester batholith on the bracket and fetch connecting wires out.as chart B. 4.Insert connecting wires into tester jack,as chart C.The blue wire is on the left and black is on the right,as chart D.
Contrarotate sleeve for several circles and adjust bracket to a good height,then screw the sleeve. In order to save time,we can use hanging installation.Take tester out and use another set of connecting wires.Install connecting wires according to mark,another ender of wire link to the soleplate.There are two nails with 86mm of distance on the wall.The user can hang the tester on the nails.